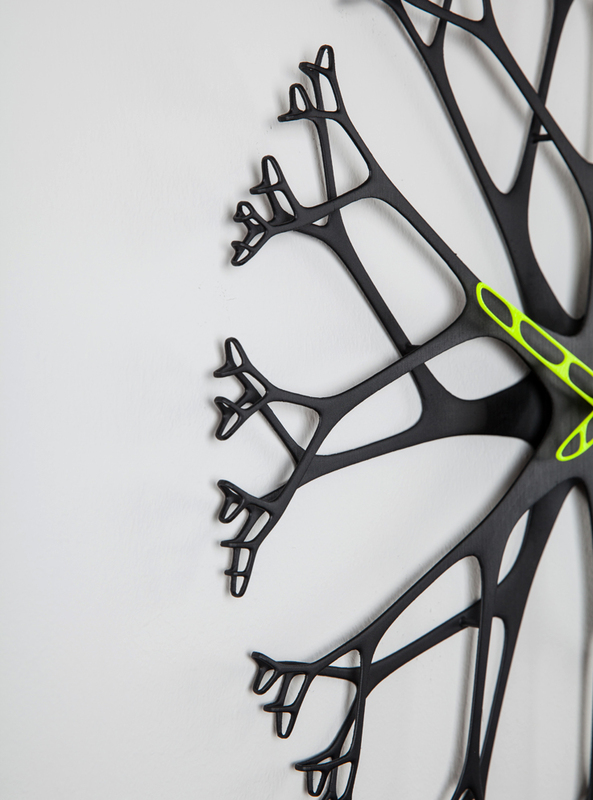 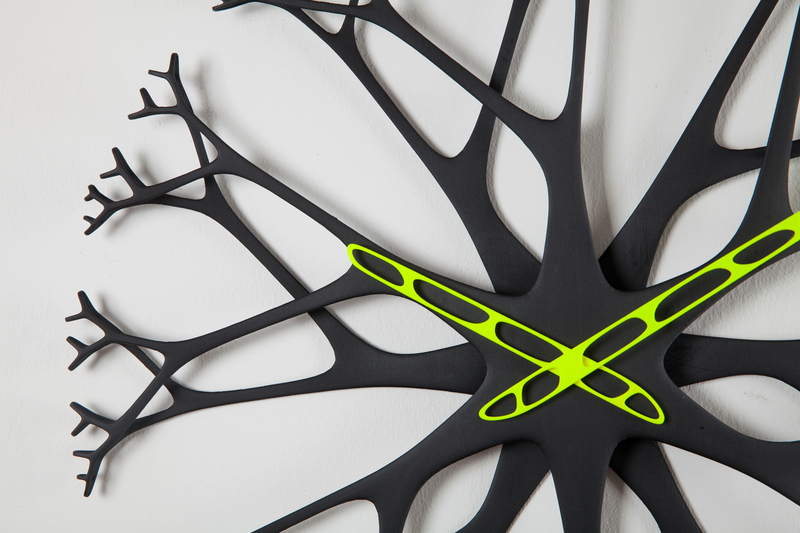 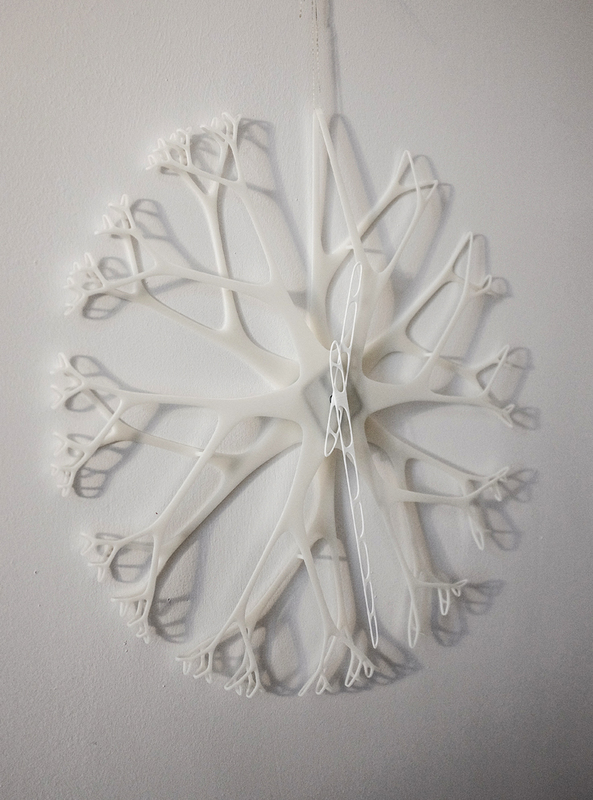 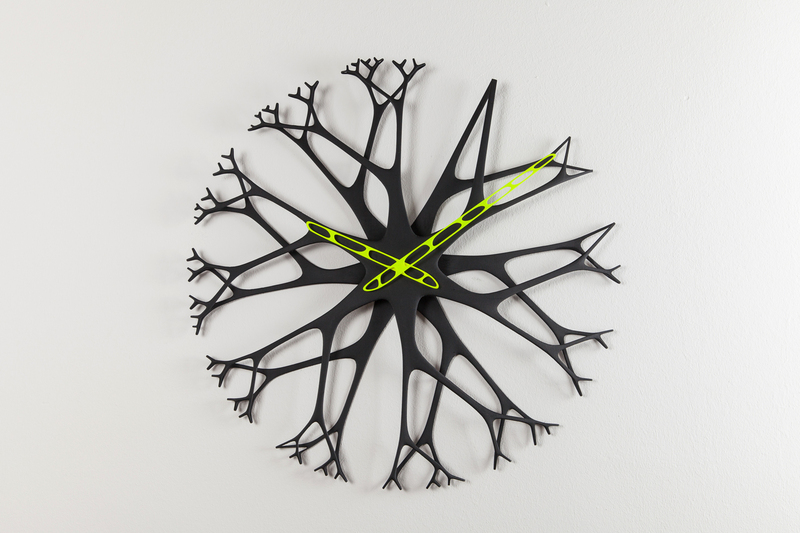 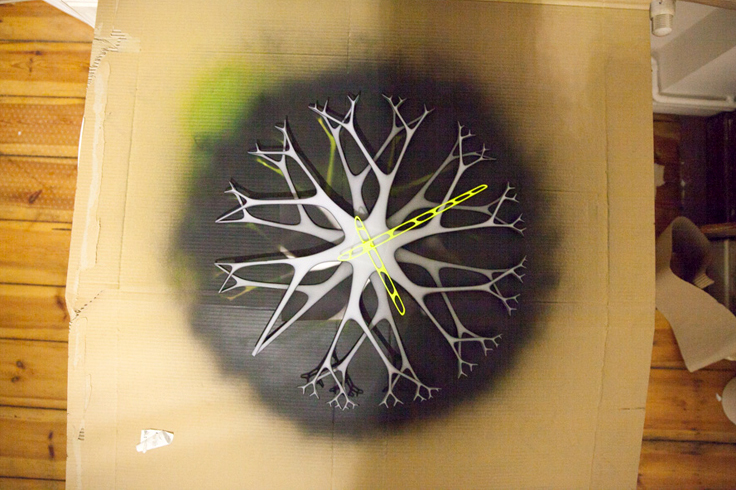 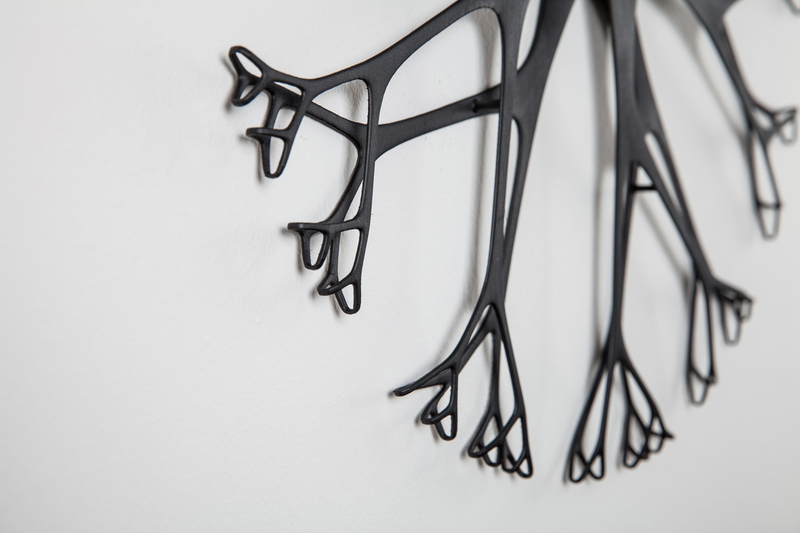 Twiggy is a wall clock and tells time by the number of branches each twig ends with. 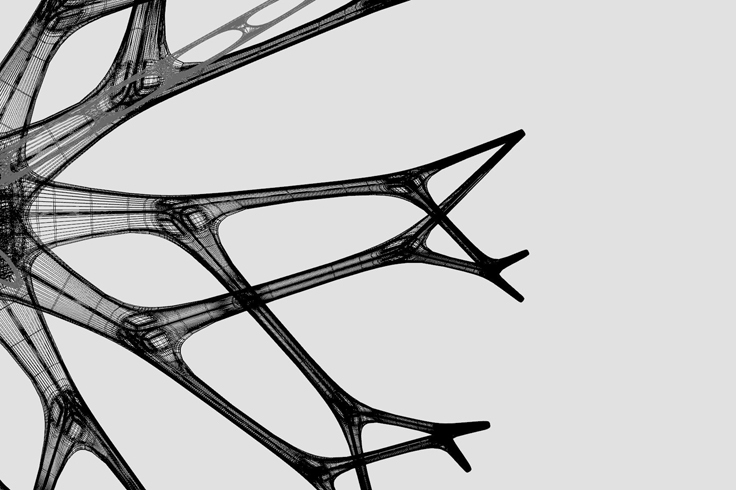 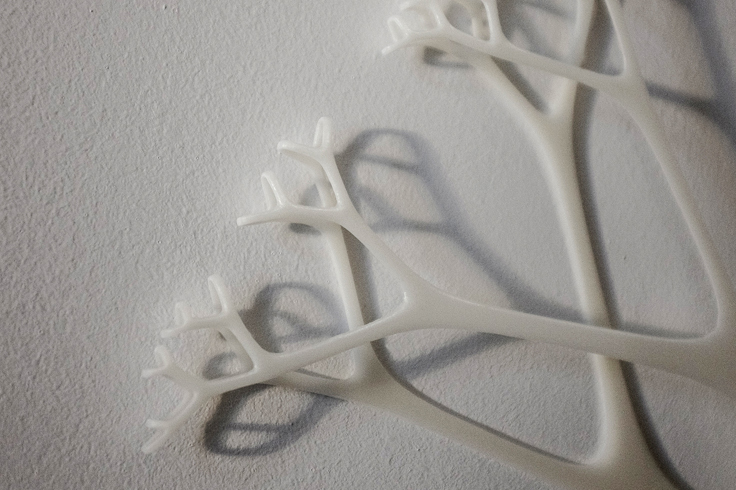 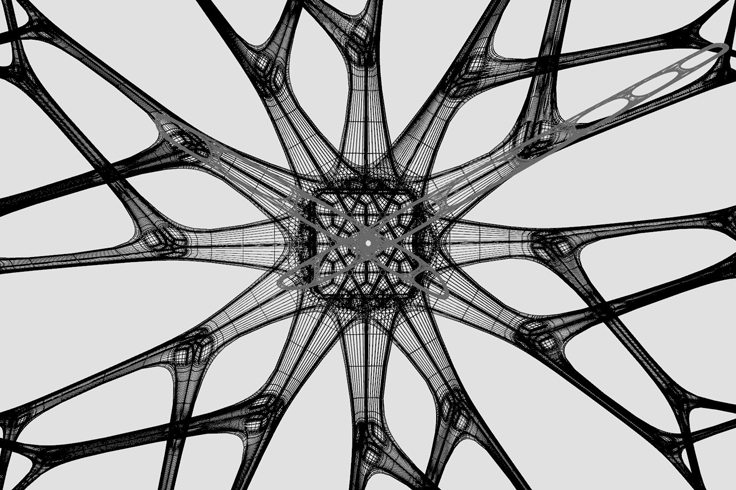 It shows our continued interest in patterns and principles found in nature, and we used fractal growth patterns to arrive at its design. 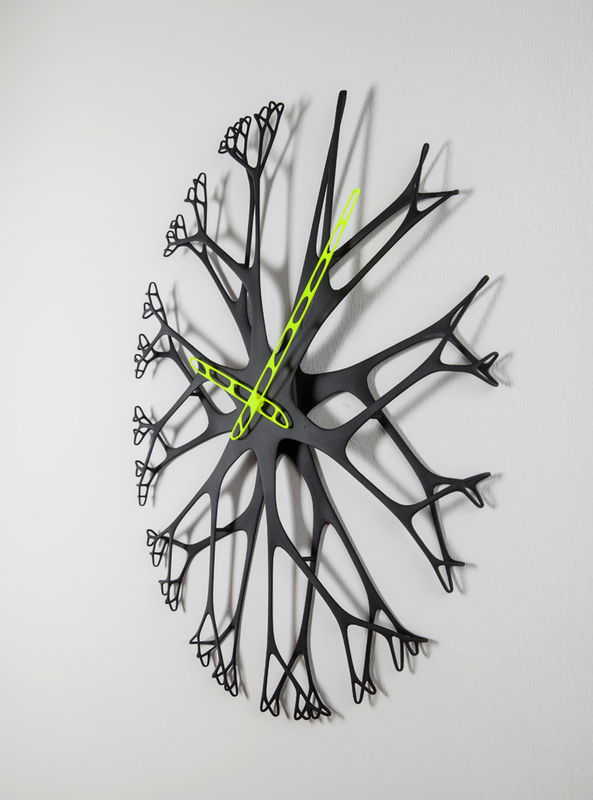 We 3D printed the clock and hands, and used a standard sized clockwork.